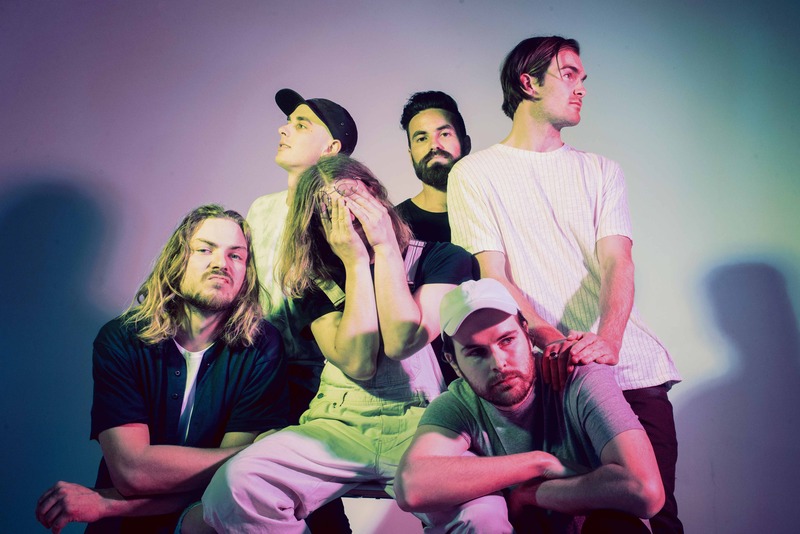 After a break-out year which saw Winston Surfshirt release their debut album ‘Sponge Cake’ with over 21 million collective streams to date, the Sydney six-piece have become one of the most talked about Australian bands both at home and abroad. Winston Surfshirt have now re-visited the kitchen, to cook up a brand new recipe for their debut album ‘Sponge Cake’, 'Sponge Cake Rebaked', an 8 track remix EP. Opening with an upbeat interpretation of the cardinal single ‘Be About You’, Roy Davis Jr injects lo-fi disco joyfulness to the record, whereas Channel Tres, delivers a low-slung deep house record for ‘Project Redo’. Karizma steps in with his stellar throwback house take on ‘When You’re Ready’, Sampology lightens the mood with a quirky remix for ‘Same Same’, and local up and comer Mookhi follows through with a stand-out remix of ‘FreeForYou’. Winston Surfshirt bandmates Bustlip and Dool, take turns re-inventing ‘For Real’ and ‘TwennyFive’ – maintaining the exemplary Winston groove. The release of this re-bake is just in time for their first tour of the EU/UK kicking off on 17th May in Paris, followed by shows in Amsterdam & Berlin, before touring Manchester, Bristol & Nottingham as part of Dot To Dot Festival, and a grande finale in London - just recently upgrading the show to the iconic Scala venue due to popular demand! Check out 'Sponge Cake Rebaked' here!